If the last few years of spooked and volatile trading conditions have taught us anything, it’s simply that for corporations and customers alike, standing still does no one any favors. The principle of ‘adapt and survive’ is more imperative than it has ever been, even for institutions with a seemingly bulletproof infrastructure and an impressive product portfolio. One clearly-signposted route to sustained success is the pursuit of active and reciprocal partnerships which have the effect of simultaneously broadening companies’ consumer bases and driving cross-platform innovation. The intertwined destinies of Rock Seven and Blue Sky Network (BSN) indicate the dividends this approach can provide. 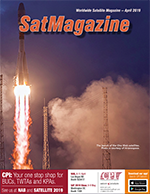 Founded in the UK in 2005, the Iridium-based satellite tracking and communication systems specialist Rock Seven has rapidly risen to a position of prominence within the industry, buoyed by a unilaterally positive reputation for the company’s far-sighted products and services. The firm’s market penetration has been further enhanced since the firm was acquired by the M2M and IoT provider, Wireless Innovation, in 2018. Blue Sky Network (BSN), meanwhile, founded in 2001 and based in San Diego, prides itself on their position at the leading edge of global satellite technology. As with Rock Seven, the company’s frontline status has been earned through pioneering work in the field of two-way communications solutions and satellite tracking systems — there was a certain inevitability that the two companies would, almost literally, find themselves within each other’s orbit. Both parties concluded, with good reason, that there was much to be gained by examining areas wherein they could combine forces, trading insights to hone skill sets and facilitate expansion into other territories. Accordingly, June of 2018 saw the integration of Rock Seven’s dual-mode Iridium/GSM RockFLEET tracker with BSN’s cloud-based SkyRouter tracking, communications and fleet management portal. The amalgamation of these highly adaptable flagship systems represented a well-considered commingling of core strengths and shared objectives, and continues to do so. It essentially serves as the most complete and customizable single-solution offering available in the sphere of tracking, mapping, two-way messaging and command/control fleet management. BSN’s expanding maritime strategy benefits from RockFLEET’s proven worth on a broad range of vessels as a standalone tracker, and Rock Seven gains a significant profile boost by having its products sold into U.S. markets via BSN. 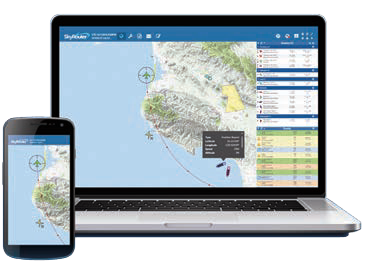 The immediate success of this joint venture led to a further development in January of this year, when the announcement was made that Rock Seven’s dual-mode RockAIR fleet tracking and messaging device would also be integrated with BSN’s SkyRouter. 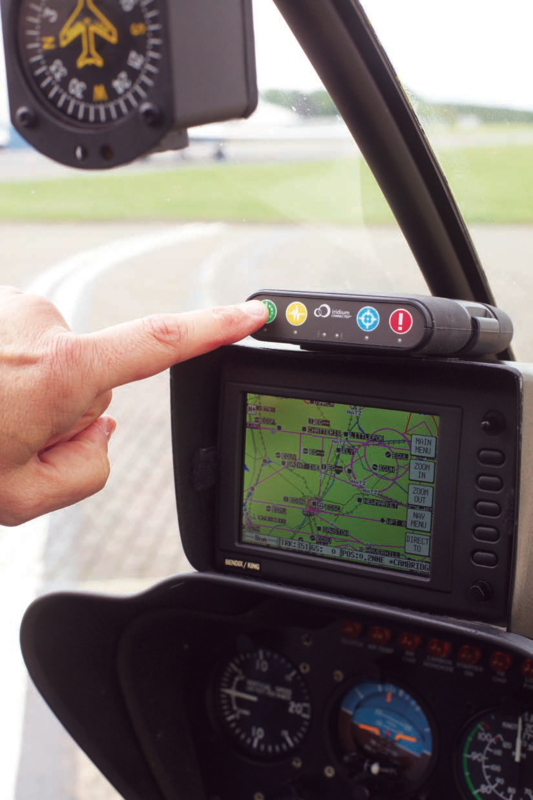 Since launch, RockAIR has been steadfastly overturning outmoded notions of tracking and comms capabilities for light aircraft, rotorcraft and land vehicles alike. RockAIR is inconspicuous and effortlessly portable on the one hand, yet the unit’s automatic, least-cost GSM/satellite switching capacity is an invaluable resource. By assimilating it with BSN’s SkyRouter portal, both systems achieve a degree of efficiency and flexibility for asset tracking and global communication that is quite unprecedented. Looking ahead, both BSN and Rock Seven are resolutely focused on strategies aimed at delivering increasingly broad-based, cost-effective and user-friendly products and services for their customers. With Cloudloop, owners/operators of Iridium equipment have a single platform through which to manage their contracts, data usage and billing information, with allowance alerts to automatically flag up any instances wherein devices are nearing their data/minutes limit — a handy feature that can also double as a warning against hacking. The company is also committed to ensuring that its RockBLOCK plug-and-play satellite communication unit continues to deliver in the world of IoT. It has already proven its worth as a key resource in an encouragingly diverse array of enterprises. These range from the tracking and recovery of a high-altitude balloon on its test outing, with the RockBLOCK conveying detailed flight information throughout, to acting as a failsafe transmitter in the automated, off-grid fire prevention system of a home constructed in a high fire risk zone in Malibu, California. The system, named Hot Shot by its electronics engineer creator James Dziadulewicz (who also built the property), crucially had to work — even if power and cellphone reception in the area went down in the event of a fire. Via an app designed by an electrical engineer friend, James was able to activate the system from a distance of 54 miles away after its sensors detected that a bush fire was advancing toward his home. The RockBLOCK operated perfectly in relaying James’ command to activate his system’s high-pressure sprinklers. This action, triggered by James 35 minutes before the fire was due to encroach on his property, cued the sprinklers to drench the house and the surrounding land, with the result that his home was completely untouched by the conflagration. The Hot Shot system is currently patent pending, with orders already being taken — and RockBLOCK functionality is at its heart. As for Blue Sky Network, 2019 will see the company making concerted efforts to consolidate its standing in the business continuity market. In tandem with its satellite communication equipment manufacturing branch, Applied Satellite Engineering, BSN is looking at perfecting systems of prevention and recovery to tackle potential business threats ranging from sabotage to natural disasters. Via ASE, BSN can offer fixed site terminals for remote communications during normal operation hours or during times of emergency. These terminals include push-to-talk networks over satellites and cross-banding to UHF/VHF, and indoor kits for in-building, in-vessel and/or in-vehicle communication. 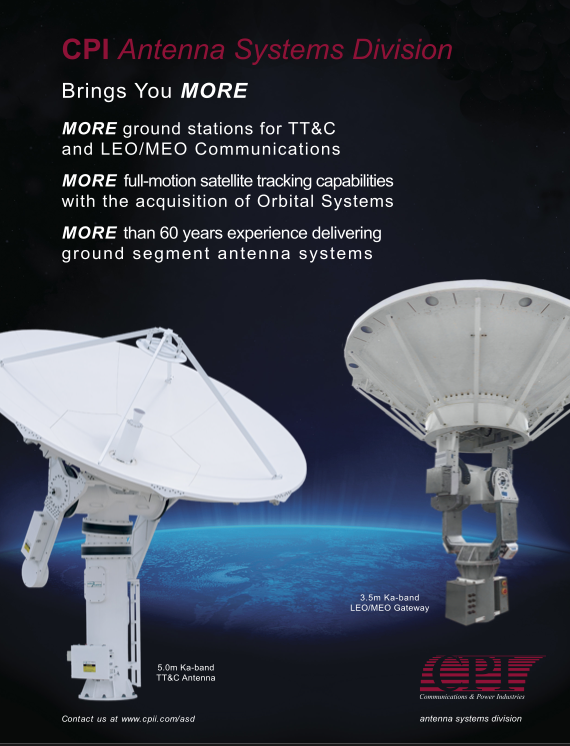 Additionally, BSN has just announced the integration of Olympic Aero Services’ Series 606 Additional Telemetry Unit (ATU) with its SkyRouter portal. 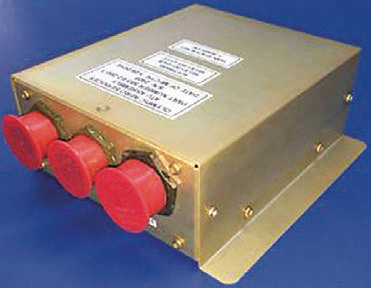 The 606 ATU is an Federal Aviation Authority-approved system which can record data from a firefighting aircraft and transmit it to a remote portal via the aircraft’s Automated Flight Following (AFF) system. 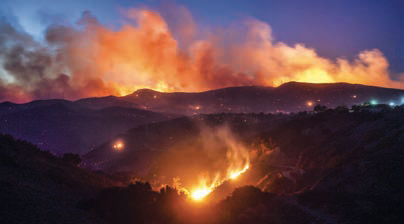 The Malibu, California, fire in 2018. 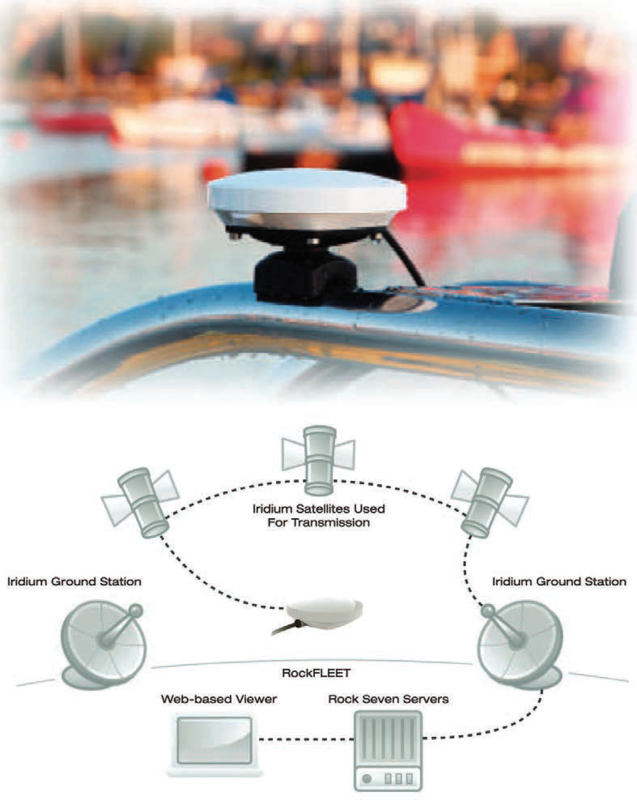 SkyRouter is basically an AFF system, and the fact that BSN hardware and software can now transmit ATU data via the Iridium satellite network to the central fire suppression database, represents a major step towards the implementation of a fully-compliant system which satisfies U.S. Forest Service regulations. 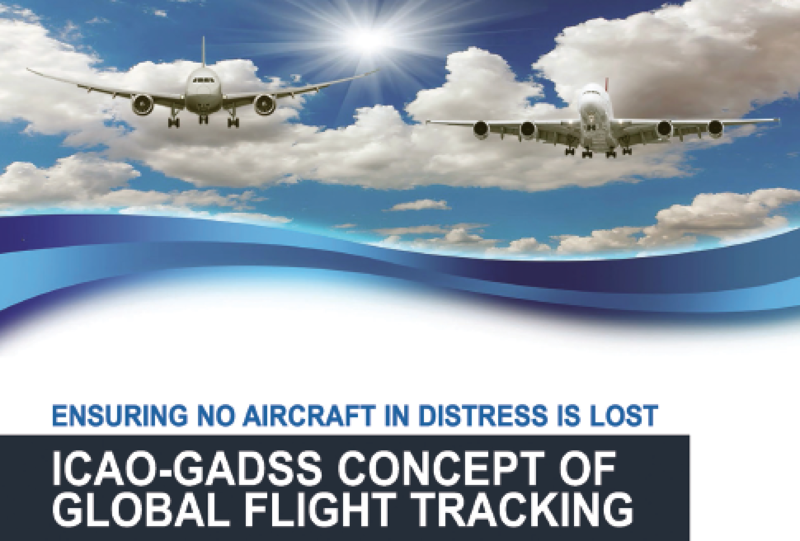 Real-time aircraft tracking devices enable BSN’s aviation customers to meet the ICAO-GADSS requirements with GADSS-compliant products that include the DMZX and HawkEye 7200A satellite tracking devices as well as the D1000A Iridium SATCOM aircraft tracker. Most recently, BSN further established its leadership position in the aviation market by becoming the United Nations’ (UN) provider of aircraft global satellite tracking services for UN field missions around the world. The concentrated skyward gaze displayed by Rock Seven and Blue Sky Network provides a workable metaphor for the capabilities and ambitions of both companies — a measure of what can be achieved by aiming high.